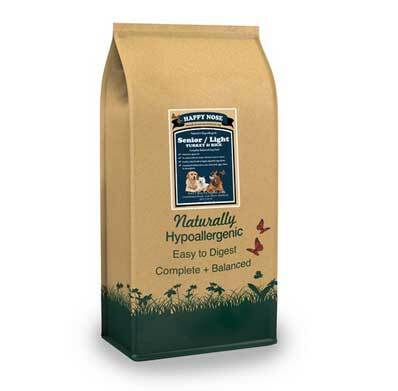 Our Happy Nose Natural range is hypo-allergenic which means it’s formulated without wheat and wheat gluten, making it suitable for dog’s with sensitivities to these ingredients. 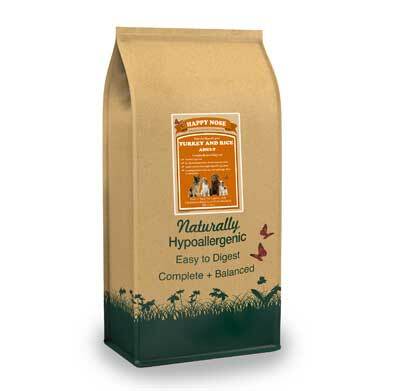 Our Happy Nose Natural range is also formulated with a single animal protein source, which helps those dogs with a sensitive digestive tract. In addition, you won’t find poultry fat in the ingredients of our Natural range, poultry fat is added to lots of dog food to make it tasty. However, there is none in our Natural range, so if you bought our Natural Lamb you can be assured that there will be no chicken hidden. 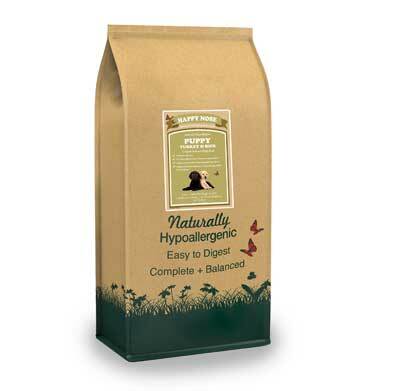 Our Happy Nose Natural ranges include: Puppy, Adult and Senior dog recipes.